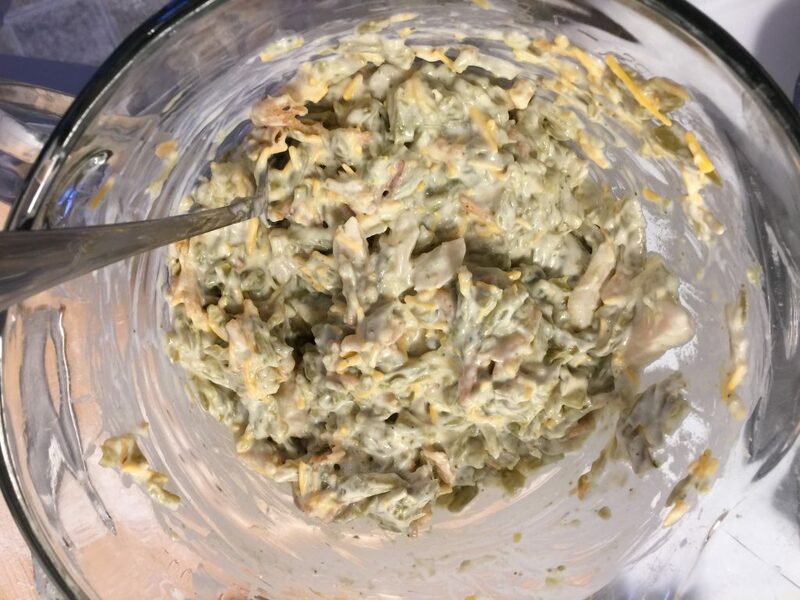 If you grew up in the late 60’s, you probably had the trusty green bean casserole at a holiday function. As a child, I loved green beans, but wasn’t quite sure of the strange skinny beans mixed with stuff that had onions on top, heaven forbid! I soon grew to love the concoction, though my own kids are still hesitant. I saw a commercial for this idea so I thought I would try for the blog just to see how it does. A couple of extras have been added to the content of the casserole to give it an update and I hope it will please everyone at your Thanksgiving table! First, you will want to get out your muffin pan and spray with a non-stick spray. 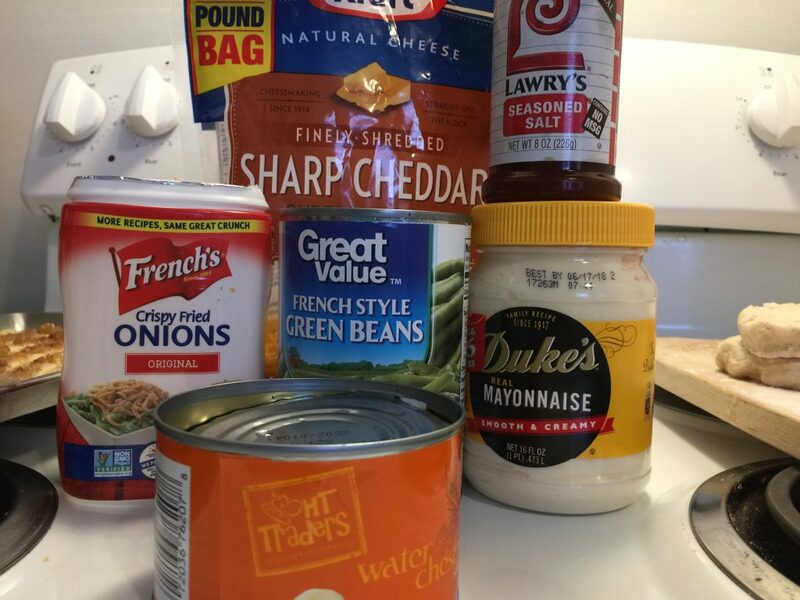 For this recipe I am using canned biscuits. 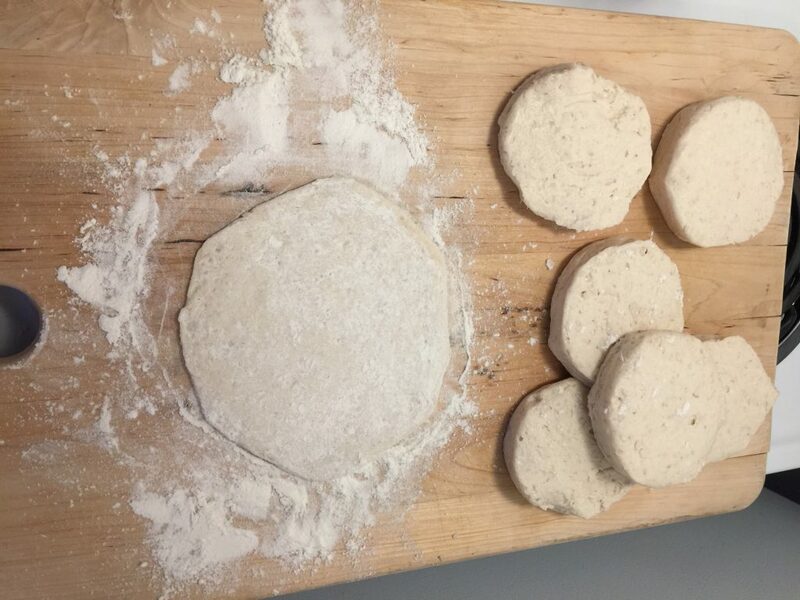 Take one biscuit and roll out on well floured surface until you have an approximately 4″ circle. 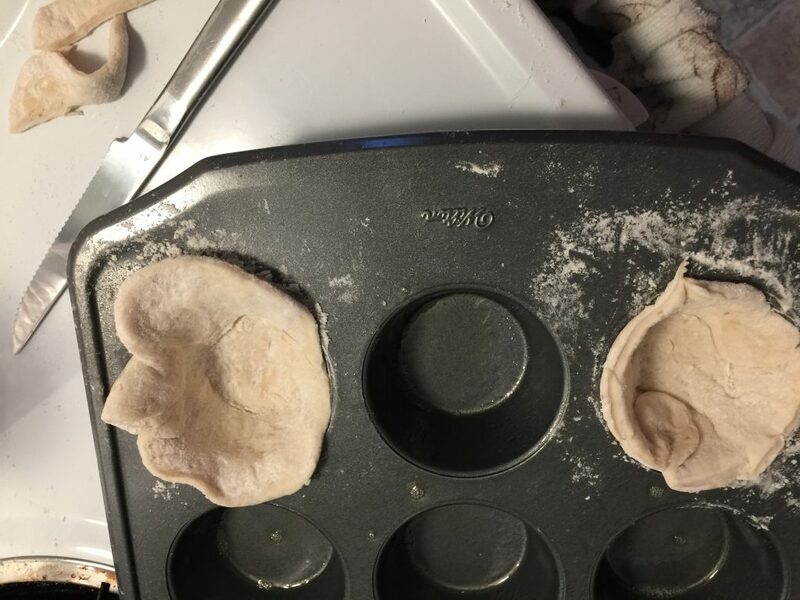 Then place pressed biscuit in muffin pan and press down to bottom and up sides, making it like a pie crust. I roll the biscuit and turn a quarter turn every roll to keep it in a circular shape, otherwise, you end up with an oblong shape. 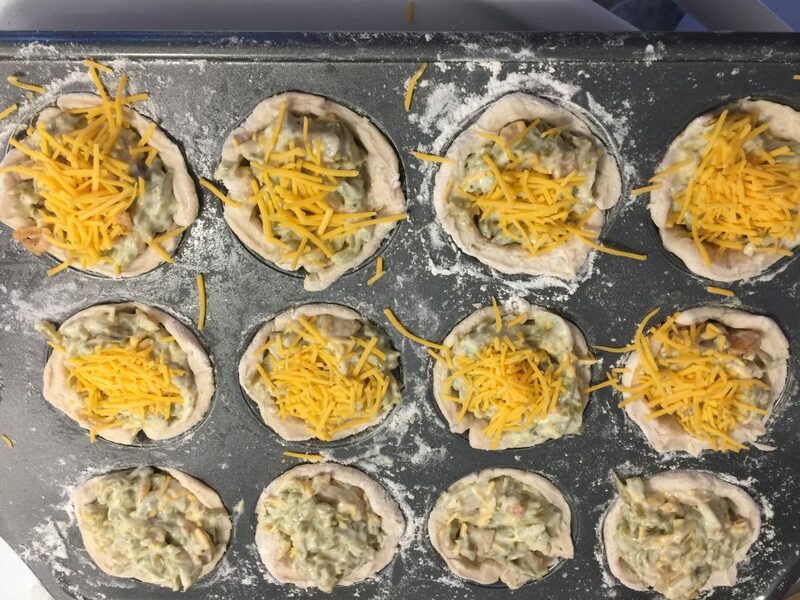 After placing in the muffin pan, I trim off any excess dough. Once you have all the muffins filled with dough, you can begin putting the bean mixture in. For this, I am using the classic recipe with just a couple of additions. I am adding sliced water chestnuts because I love the texture they add and I also added shredded cheddar cheese because it just isn’t a casserole at our house if there isn’t cheese in it! Once you have all the ingredients mixed well, I scoop one heaping ice cream scoopful into each muffin cup. 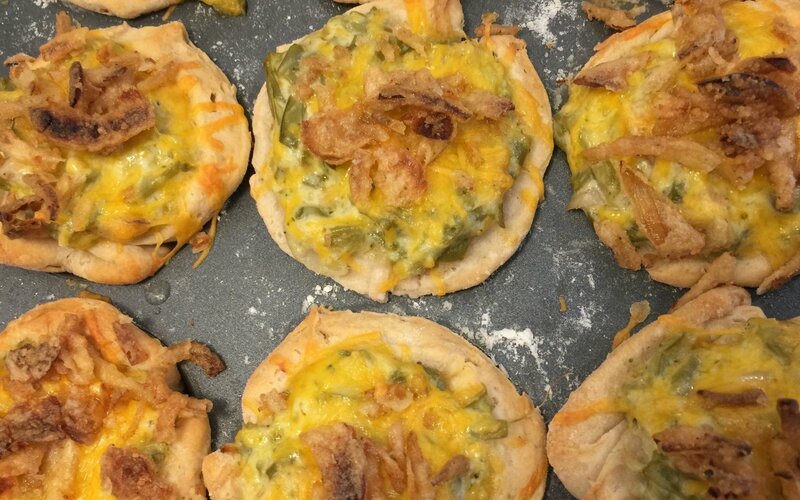 Remember to leave about 1/4 cup of the dried onions and 1/2 cup of cheese to top each one. Once they are all filled, you can pop them in a 350 oven for 30 minutes. 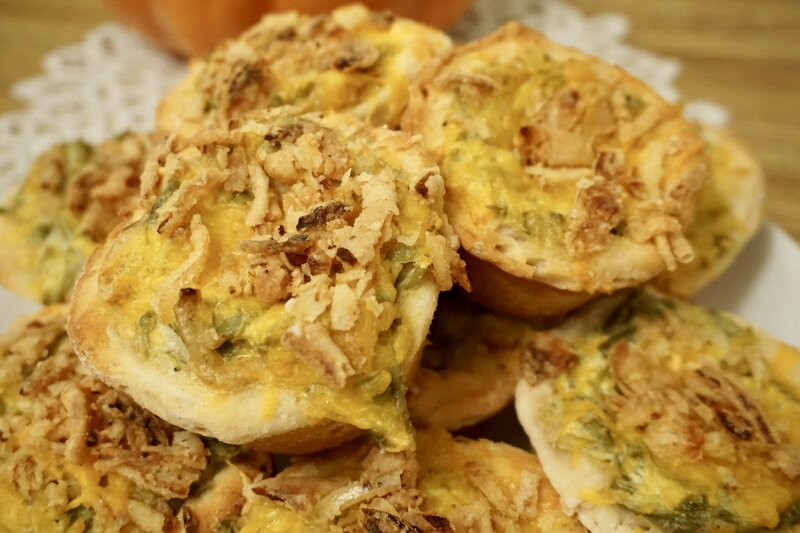 These are great little party foods as well as a side for your special dinner. I think your guests will be happy with this new twist on an old favorite.